The nights are creeping in and the shorter days mean less time in the garden – but with some clever planting the winter garden doesn’t need to be dreary. 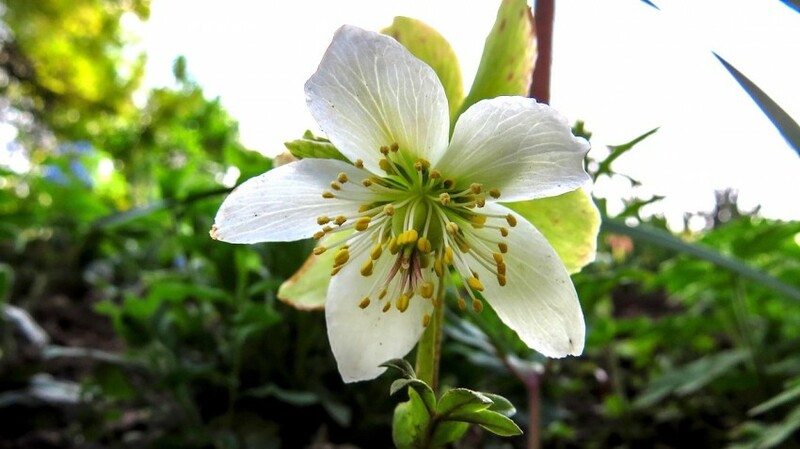 Our November plant choice, the Christmas Rose (Helleborus niger) can light up your garden with a burst of winter white blooms! So, you can still enjoy the garden, even if it’s just through the window. The beautiful cup shaped flowers of hellebores may look delicate, but don’t be fooled - they are also hardy and long-lasting. Hellebores are shade loving evergreens that look fabulous planted in groups and will flower year after year come rain or shine (or sleet and snow!). Despite its common name, the Christmas Rose is actually a member of the Buttercup or Ranunculae group of plants rather than the rose family. Sometimes you will see Hellebores that appear to have grown naturally in crevices in old walls. You can help nature yourself by sowing seeds or establishing young plants in these locations – feed and water them until established. Use the experts at your local garden centre for advice on the best Hellebores for your garden.